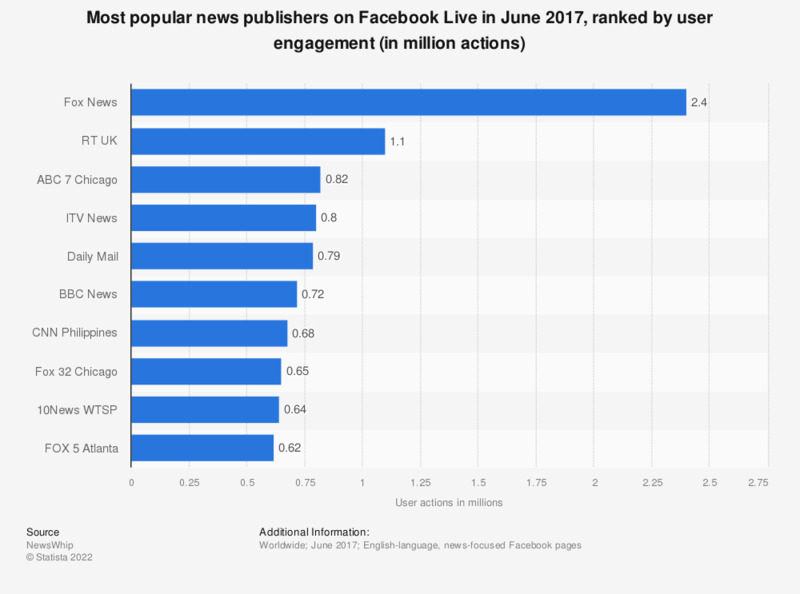 This statistic represents the most popular news publishers on Facebook Live in June 2017, ranked by user engagement. According to the findings, Fox News had been ranked the highest among user engagement on their Facebook Live stream, with a total of 2.4 million user engagements. Following them behind in second was RT UK with a total of 1.1 million user engagements. User engagement based on total number of likes, shares, comments, and reactions.